PSG Season 03/04, before Qatar. Support for the arrested brothers ! Im sorry to say Sepp Blatter is re-elected as MAFIFA President. I would like to say a thank you to the Americans and FBI for going to front attack on MAFIFA. I hope and think Blatter is a temporary solution . UEFA is talking about boycotting the World cup and threatening to pull out off FIFA if this stands. Lets hope the sponsors also wants to save lives and make a change for the better. 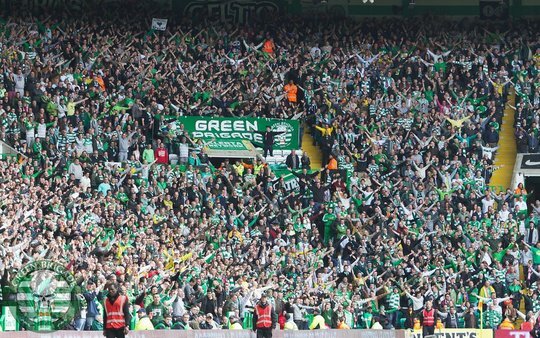 Scotland: Celtic FC has just been granted permission to introduce “safe standing” at Celtic park by installing a Rail seating system. The proposed system will initially accommodate up to 2600 supporters. Celtic Chief Executive Peter Lawell noted that “Celtic has worked tirelessly on this issue and we are delighted that this permission has finally been granted”. 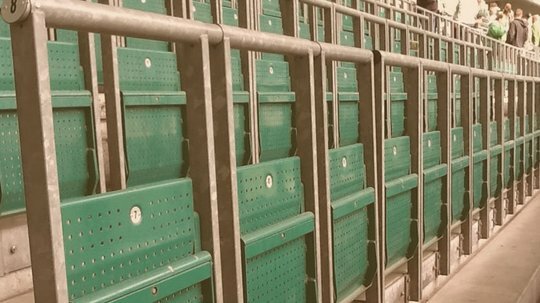 The introduction of rail seating at Celtic Park represents on of the first investment in spectator safety in the UK in nearly two decades. Supporters around the world are choosing to stand at matches, and this is something that a club like Celtic, which has a history of fan alliances, understands better than most. Traditionally most football grounds in the UK had terraces at each end and often on lower tiers along each side. Most supporters watched football standing up. In the late 1980s the average standing in grounds was roughly twice the number of seats. Many administrators of the game saw the removal of terraces as a solution of the scourge of hooliganism that had plagued British society in the 1970s. On April 15, 1989, 96 Liverpool supporters were crushed in the Leppings Lane stand at Hillsborough. The subsequent investigation resulted in the 1989 Football Spectators Act (FSA), which contained a regulation requiring all football grounds to become all-seated. Although the FSA does not cover Scotland, the Scottish Premier League chose to make all-seater stadia a requirement, but relaxed the rule in 2011. Rail seating has been a safe method of providing supporters with the opportunity to watch matches on their feet. Earlier this year, we went to see the effects of this kind of seating at German stadiums in Berlin and Hamburg. 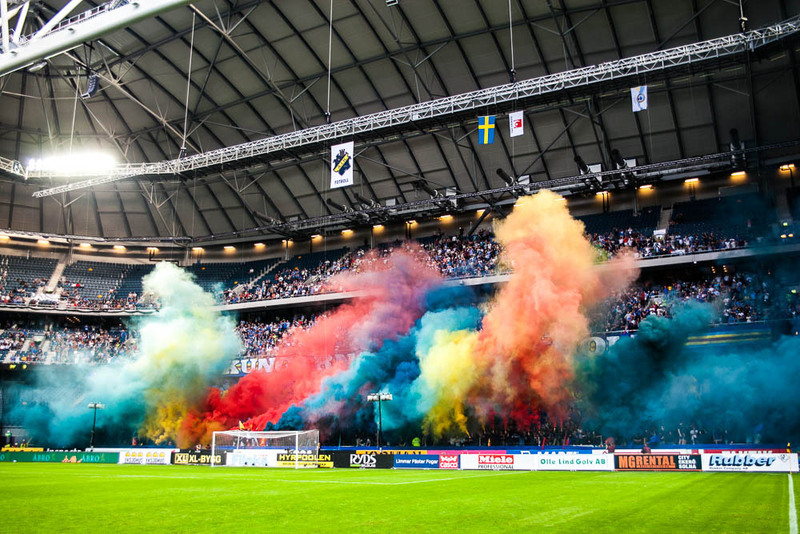 The function of standing at a match is crucial to providing a good environment. In the simplest of senses, people sing louder when they stand. You can dance, jump, and create choreographies. This reform represents an extremely important precedent in UK football, as Celtic park (which already provides a top class football environment in Britain) looks to become one of the world’s greatest places to watch the beautiful game. My club will also build a new stadium with terraces . Finally , after 102 years without a home and after a long political process we only had to wait for ESA to approve the sale of the grounds where the stadium will be. The total capacity will be 18 000 . 6000 of these will be the standing terraces for the home fans behind one of the goals. 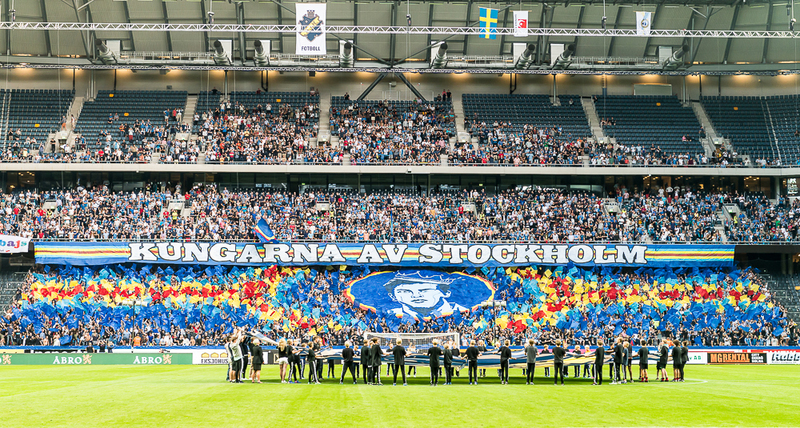 Yesterday Vålerenga celebrated 102 years . Vålerenga also laid down the foundation stone for our new stadium. 1000-2000 people showed up for the ceremony, and fans did a corteo up to the construction site. Construction starts next week, with completion by summer 2017. The stadium will have a capacity of 18.000, and the gem of the stadium will be the supporters terrace with a capacity of 6000. No seats! Big rivalry match in Finland when HJK played Fc Lahti in Wednesday. The two teams supporters consider the other their main enemy. Police was prepared with heavy presence in and around the stadium. Nothing happened though, good support and atmosphere in the game (sorry, but no good pics or vids ). L*hti had little incident with stadium security because they used some smoke... But nothing serious... UNTIL after the game. After the game cops chased and pushed Lahti fans to their busses with force. Some guy lost his hat during the incident and went to ask can he have it back. Cops response? They arrested him and his friends... Soon after the fans had started their trip back home one Lahti bus stopped for a break to wait for the arrested lads to be released. Fans were just normally singing and chanting and having a good time, causing no trouble or nothing but cops attacked for no reason! Atleast one guy had to go to a hospital for broken ribs, several more arrested. Even the busdriver was fined 200€ for "harbouring criminals" or some other bs reason . Police only said, that they are thinking about moving this game to start some hours earlier in next season because of "supporters trouble behaviour", wich will mean that the game would start in the afternoon. This would mean that its almost impossible for supporters (especially the away fans) to get to the game, since it is almost always played during the week (because police doesn´t often allow it to be played in the weekend).